The conspiracy theorists are already having a field day. 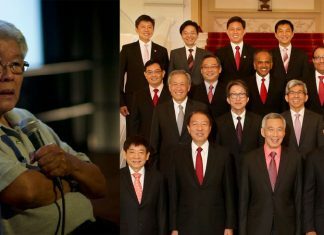 Goh Chok Tong’s speech on Sunday night is the latest talking point with many focusing on the fact that the “government needs to win hearts, not just arguments”. As that debate continues, let’s focus on the thrust of his speech which revolves round the one word that is being used very often these days:Trust. There has to be trust in government, and we would like to emphasise, in the people, too. Trust, as we all know, doesn’t happen overnight. It happens after many years of developing mutual respect for each other, sharing of thoughts, ideas, plans, and most important, listening to each other’s point of view. So who should clap first? The one with the power. Nothing like going down a few steps to show genuine care, empathy and support. No harm in temporarily putting aside ideology while throwing out a lifeline for those who are crying for help.